With all of those acceptances coming in, I’m sure many incoming freshmen cannot wait to see what’s in store for them Fall 2015. I’m here to give you a little preview of what you have to look forward to once you begin your college career. Make sure to purchase your Penn State football student section tickets this summer so that you can spend most Saturdays tailgating and cheering on your home team, the Nittany Lions. Those football tickets sell out quickly so make sure you wake up at 8 a.m. to get your own. Then get ready to be woken up in your dorms by the Blue Band (our marching band) when they stop by the freshman dorms the first morning of football season to wake everyone up and motivate you for the day’s game! Speaking of football, Homecoming is always huge this time of year. 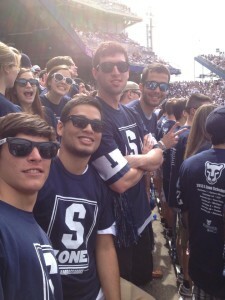 Alumni from all over travel back to State College and come for the Homecoming parade and the game. In the Homecoming parade you get too see floats decorated by various orgs, committees, etc. And there is even a Homecoming king and queen. The HUB has a weeklong involvement fair where you can stop by and check out dozens of clubs, and sign up for any that might interest you. It’s always a good idea to stop by — who knows, you might be joining a club that one day you will be the president of. All around town you will see people dressed up, and it makes you feel like you’re in that old Disney movie, “Halloweentown”. 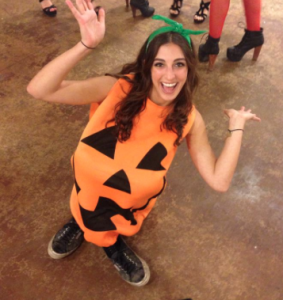 Some teachers even give you extra credit if the whole classroom dresses up for class or if you have the most creative costume in your section. Not only that, but some food places downtown like Chipotle have Halloween specials. People get really creative around here for halloween. If you like smores, country music, barbeques, and hay hayrides are the activity for you! Local companies conduct hayrides and take you in the middle of nowhere with all your friends to a cozy fire and barbeque set up where a live bland plays on a stage and everything. Most organizations host their own, and you can even book one with your just your group of friends if you’d like. 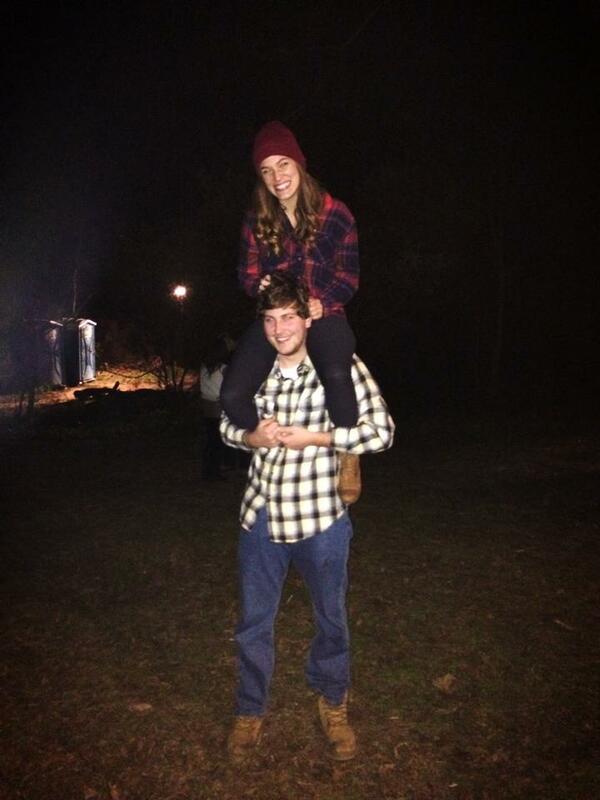 Everyone wears their favorite flannel and dances the night away under the stars. 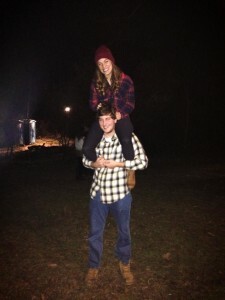 flannels all around at hayride! Although both of these things aren’t found only in State College, apple and pumpkin picking here is really fun. People usually go either on dates or with a bunch of their friends and take lots of cute pictures.